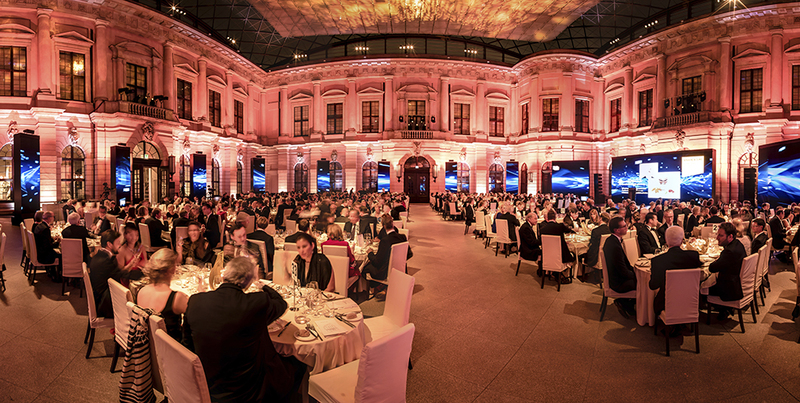 For the second time in a row, the Schlüterhof courtyard of the German History Museum in Berlin was the venue for the Entrepreneur of the Year awards. 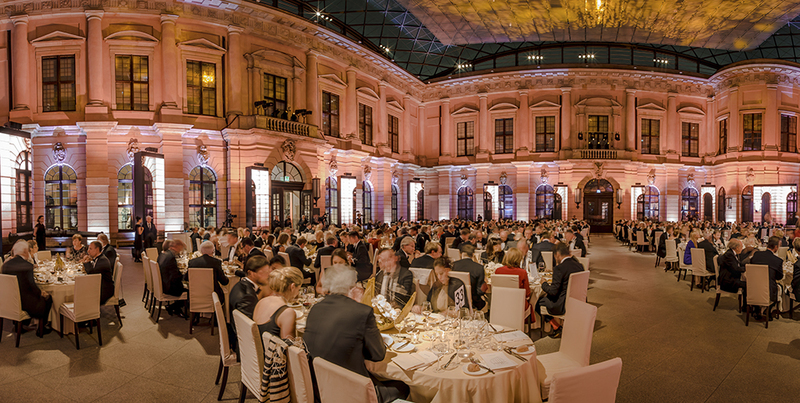 The design was based closely on the gala held the previous year, marrying modern media with the baroque backdrop. 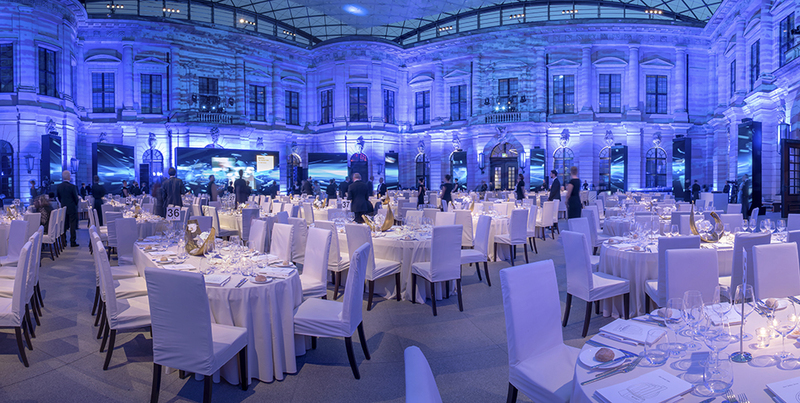 Animated designs were used to play with light and sound, transforming the courtyard with every change in award category and matching the theme to the next item on the agenda. As in 2015, a tall column of LEDs ensured that each effect was circulated around the arena, resulting in 360° of virtual effects – thus adding a touch of virtual sophistication to this very real gala event.